How to Choose the Right Upholstery Leather? Aniline or Semi-Aniline? An artisanal material used since prehistoric times, leather has a refined timeless luxury that no other material can replicate. Quality leather is an exquisite durable material that will offer countless years of comfort with a long-lasting sophisticated aesthetic. While leathers may seem similar on the surface, not all leathers are created equal. Leather can vary greatly in quality, how it looks, feels and how it performs. Selecting the most appropriate leather requires an understanding of the characteristics of each leather type. 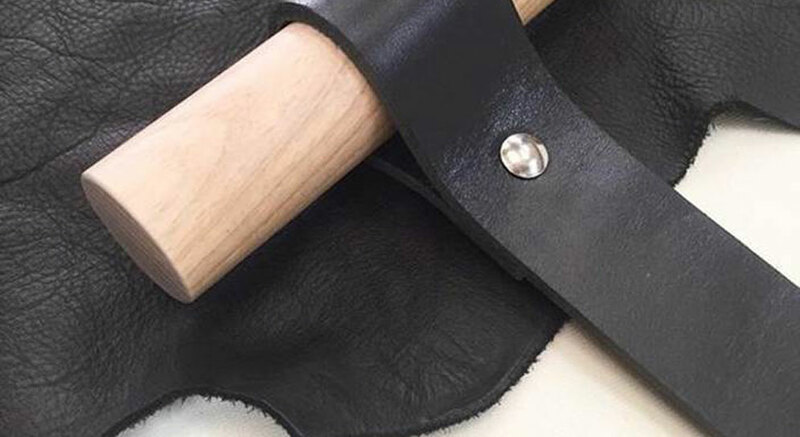 The leather type is established early in the production process, directed by the quality of the raw hide. This determines if the leather will end up as an aniline, semi-aniline, pigmented or corrected grain leather and the final cost of the material. The highest quality leather, aniline is the most natural, soft and gracefully supple of all leather types. 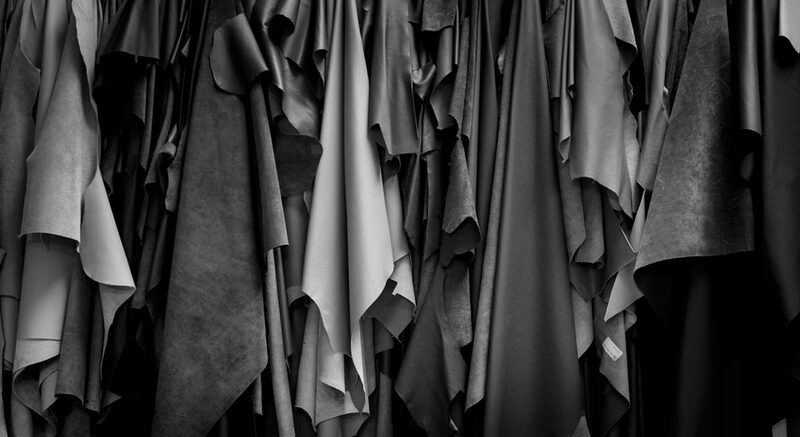 Aniline leather is generally the most expensive of all leather types as only the very best raw hides can qualify for this type, which attract a higher cost. The highest quality raw hides are sourced from European cattle, being generally better protected as they are raised in small herds on farms with no barbed wire and no branding. With minimal processing, aniline hides proudly display the hallmarks of genuine leather such as fat wrinkles, growth marks, healed scars, insect bites and scratches. With no protective layer or coating on the surface, aniline leathers boast superior seating comfort as they are able to breathe and absorb moisture. “Aniline leather naturally allows the heat from the body to be absorbed into the leather because there is no pigment or polyurethane barrier (as used on lesser quality leathers). This is the sign of a top quality aniline – it feels natural – you can feel it” says Craig Jones from Instyle. This type of leather can work well in selected commercial projects as long as it is embraced and cared for as any other artisanal material. A semi-aniline leather may sometimes be a better alternative for applications where heavy traffic, direct sunlight and regular maintenance play a part. This leather type can be a wonderful compromise for those who want to achieve a uniform look while still retaining the many beautiful natural characteristics of leather. Scratching will be far less obvious and colour will remain more consistent over time. Combining durability with the soft handle of natural leather, semi-aniline leathers are especially suited to commercial areas. 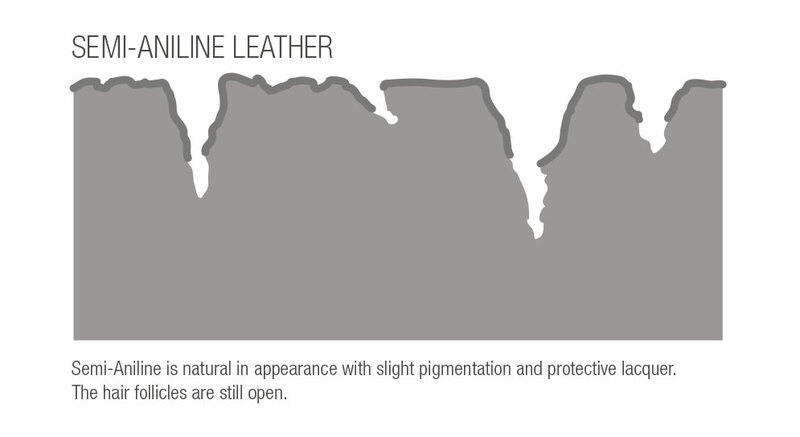 The light pigment coating on semi-aniline hides is similar to a light layer of foundation makeup over your skin. 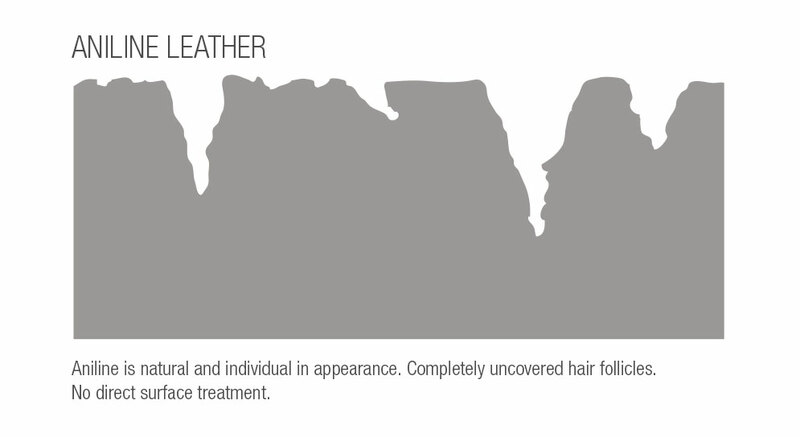 It helps protect, smooth and create an even colouration while still letting the skin breathe underneath. Hence why breathability and seating comfort are still good for this leather type as their performance is not hindered by the light protective layer. 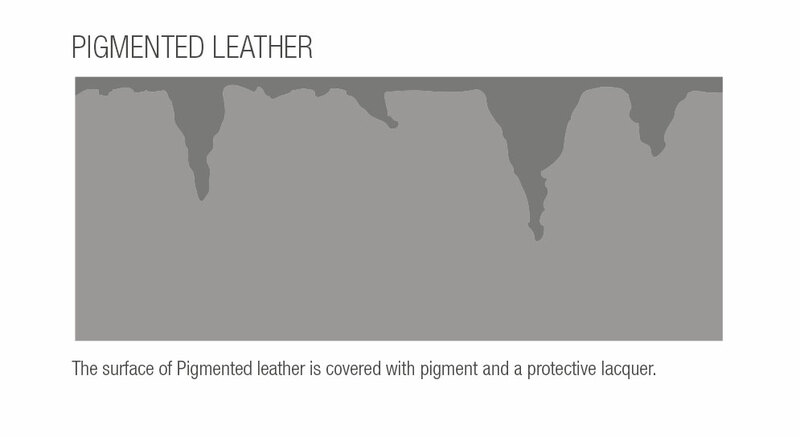 A pigmented or protected leather is ideal for high traffic environments and where the application requires more rigorous performance specifications. Named from the layer of coloured pigment applied to the surface, pigmented leather provides a uniform appearance with no natural markings. A protective surface coating is applied over the pigment, which gives the manufacturer greater control over the desired performance of the leather such as resistance to scuffing or fading. High yielding, easy to maintain and robust, pigmented leather displays excellent lightfastness and is the perfect choice for commercial furniture upholstery. Pigmented leather can also be used for transport applications. There are times when the budget and the perceived durability of leather outweigh the natural beautiful characteristics of aniline and semi-aniline leathers. 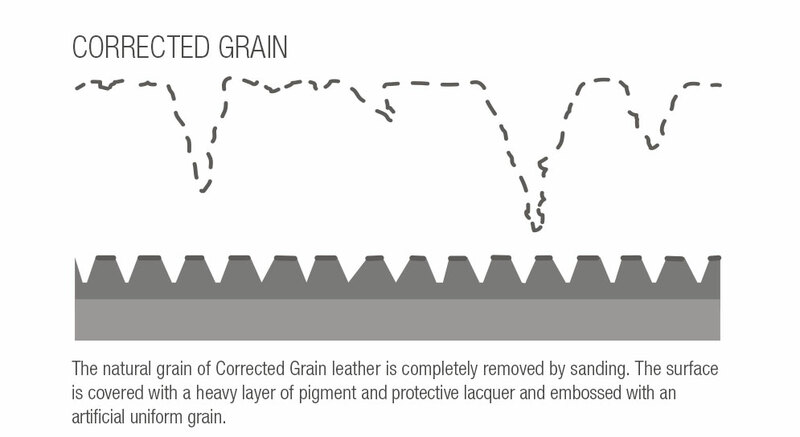 Corrected grain leathers are the least expensive because lower quality raw hides are sourced and more processing and intervention is involved. The natural grain is completely removed by buffing back the leather grain surface, which is then covered with multiple layers of pigment and protective finish. Finally it is embossed with a uniform grain pattern. Thus the leather loses softness, as this process closes the pores and compromises breathability. Corrected grain leather provides a high yielding, even-grained appearance that is durable and suitable for all applications but especially for commercial environments, perfect for quick projects where the budget is low but aesthetic value is high. However this price-driven solution does come with potential risk, it may lack the longevity and long-lasting aesthetic of its more natural alternatives. As a leather specialist, Instyle recommends selecting leather based on leather type, its application and level of seating comfort desired. All leathers within Instyle’s Contemporary Leathers collection have been tested and met the relevant test methods required for each leather type as determined by the Commercial Leather Association (CLA), which is based on European Union standards EN 13336. Some furniture companies refer to top grain leather, an American term referring to the ‘top’ grain split of a hide and can be any of the above leather types. The ‘lower’ split is regarded as by-cast leather. Splits are not recommended for use on furniture.